It can be seen in the abandoned house down the street or the summer home in the fall--grass that carries little plumes and seeds. This is a lawn that has "gone to seed" and it is important to understand why grasses do this and if it is beneficial to the sod or just an eyesore. Plants need light, warmth, water and nutrition to thrive and grow. Lawns are no different and they respond to the lack of one of these basics by seeding themselves. It is the plants response to a threat that causes it to seed to preserve its DNA. This usually occurs in the warm season and can be the result of the wrong species of grass, improper irrigation, poor nutrition, bad soil pH or numerous other causes. Mowing keeps the seed heads down and has the added benefit of exposing the small new shoots to light. Lawns need to be cut by one-third at each mowing in order to reduce stress. If the lawn has grown really high it will need several successive cuttings to get it down to the proper height. Mowing will also take the seed heads off the weeds and reduce the next period's weed growth. In order for a lawn to maximize its carbon intake it must be mowed and the clippings left to add nitrogen to the earth. Water loss is one of the biggest causes for a plant to go to seed. Grasses need at least 1 inch of water per week to avoid stress. Grasses with shallow root systems will need more as the surface roots will experience evaporation. 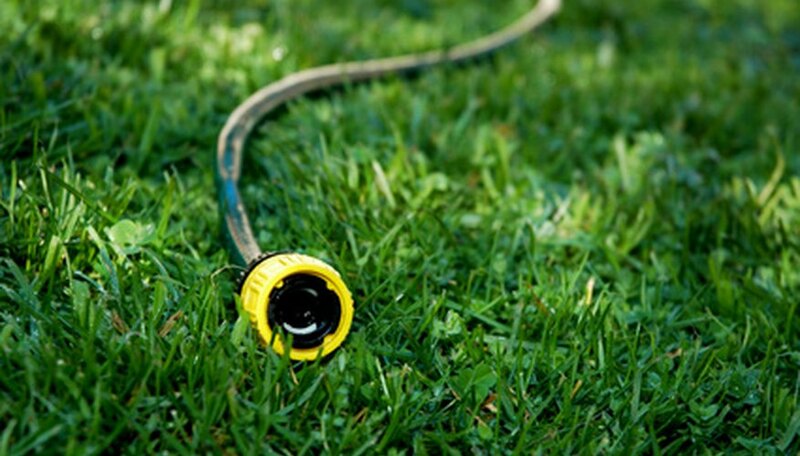 Keeping the grass well watered will let the plant know that it is not in any danger and does not need to start seeding itself. It is important to check the pH of your soil as that can affect the ability of grass roots to take in nutrition. The pH should be around 6.0 for most grasses. Additionally, lush green grass needs to be fertilized twice a year, in spring and around Labor Day. Using 1 lb. nitrogen-rich fertilizer per 1,000 square feet will feed the lawn until the next application. Most grass types do not reseed themselves successfully from their seed heads. Some are even bred to produce seed that will not germinate. Also, many grasses reproduce from shallow roots spreading and sending sprouts out. Purchasing seed for reseeding thin areas is a better idea, as it can be sowed properly and cared for until germination. Leaving the lawn to go to seed is not a sure method of reseeding and it is unattractive.